This is by far one of the most affordable meals in a proper western restaurant especially if one only has it with plain water. 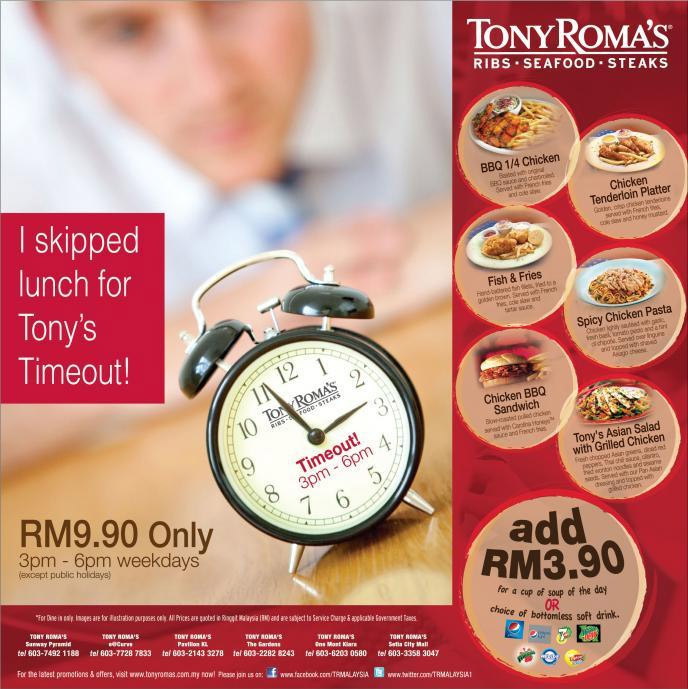 Add RM3.90 for a cup of Soup of the day or choice of selected soft drink. Available on weekdays from 3pm till 6pm only (exclude public holidays). This entry was posted on Tuesday, April 23rd, 2013 at 7:25 pm	and is filed under Food Promo, Heavenly Klang Valley Food, Western Restaurant, set lunch. You can follow any responses to this entry through the RSS 2.0 feed. You can leave a response, or trackback from your own site.